Politicians are polarized. Public opinion is volatile. Government is gridlocked. Or so journalists and pundits constantly report. But where are we, really, in modern American politics, and how did we get there? Those are the questions that Byron E. Shafer aims to answer in The American Political Pattern. Looking at the state of American politics at diverse points over the past eighty years, the book draws a picture, broad in scope yet precise in detail, of our political system in the modern era. It is a picture of stretches of political stability, but also, even more, of political change, one that goes a long way toward explaining how shifting factors alter the content of public policy and the character of American politicking. 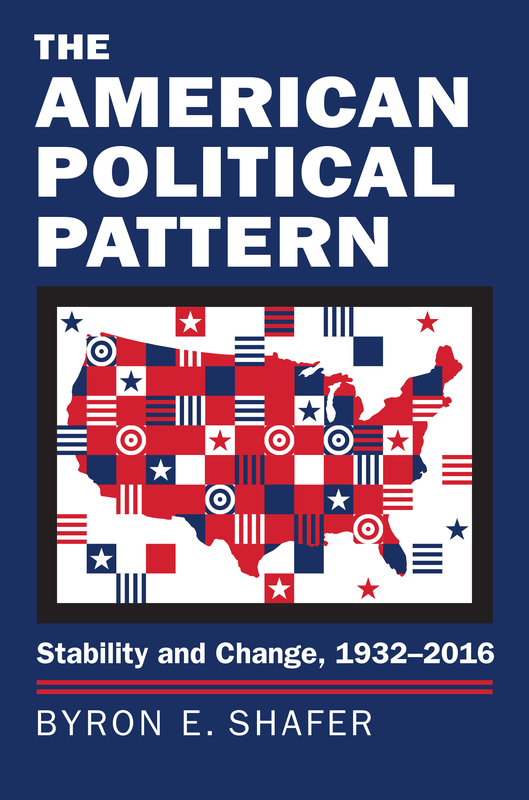 Shafer divides the modern world into four distinct periods: the High New Deal (1932–1938), the Late New Deal (1939–1968), the Era of Divided Government (1969–1992), and the Era of Partisan Volatility (1993–2016). Each period is characterized by a different arrangement of the same key factors: party balance, ideological polarization, issue conflict, and the policy-making process that goes with them. The American Political Pattern shows how these factors are in turn shaped by permanent aspects of the US Constitution, most especially the separation of powers and federalism, while their alignment is simultaneously influenced by the external demands for governmental action that arise in each period, including those derived from economic currents, major wars, and social movements. Analyzing these periods, Shafer sets the terms for understanding the structure and dynamics of politics in our own turbulent time. Placing the current political world in its historical and evolutionary framework, while illuminating major influences on American politics over time, his book explains where this modern world came from, why it endures, and how it might change yet again. Byron E. Shafer is Hawkins Chair of Political Science at the University of Wisconsin–Madison. His many books include The Two Majorities and the Puzzle of Modern American Politics, also from Kansas.